We round up our top five new season shoe trends for every budget…. There are a couple of things that I like about winter, and the never ending prospect of rain or waking up to pitch black mornings and leaving work in the dark aren’t them. No, the things I like about winter include going to the pub for a delicious Sunday roast with friends or wrapping up warm in beautiful luxurious scarves. But one of my favourite things about the colder months is definitely the prospect of shopping for new season shoes. It’s just as well that this season’s offerings are even better than ever, with a wealth of fantastic new trends coming straight off the runway and into stores, just waiting for us to buy them. So to make shopping for shoes that little bit easier on you (as if it’s a chore!) we’ve compiled an edit of some of our favourite shoe trends of the new season. Whether you’re investing in a pair of gorgeous designer shoes, or want to find a more affordable alternative, we've found the perfect kicks for your budget. Loafers came into play in a big way over the summer to mixed reviews but it seems that they’re not going anywhere as we approach the colder months. 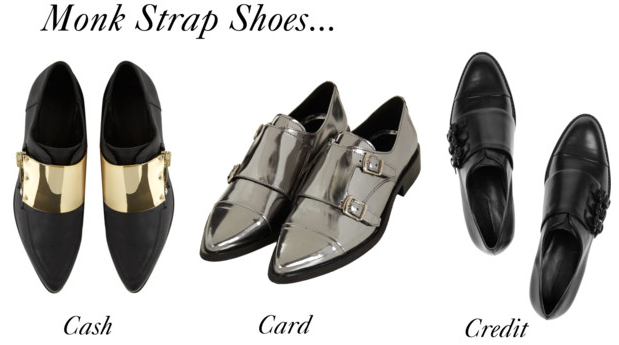 Your feet will be thankful that flats are on trend, you can give them a rest from sky high heels. 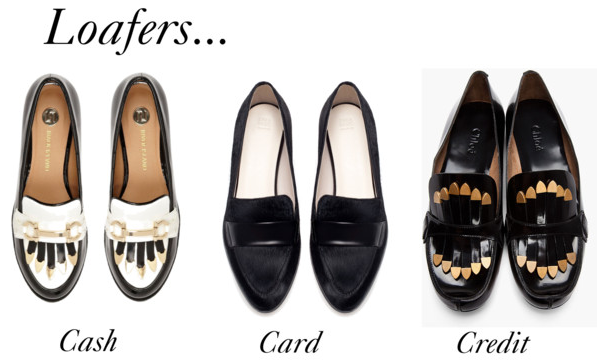 Flats are one of the biggest trends of the season and we absolutely love these mannish loafers. Whether you team yours with sharply tailored trousers or a feminine dress you really can’t go wrong. If you’re considering investing in a great pair of flats then loafers are a great choice as their timeless style will last season after season. Printed shoes might not necessarily be a trend per-se but there are always popular prints bubbling under the surface of the fashion landscape. Animal print seems to have almost always been in fashion in my opinion, although I do remember a time, I think it was the late nineties, when animal print anything was the biggest faux pas any fashionista could make. But animal print is back with a vengeance and these amazing Acne ankle boots are an effortlessly cool way to incorporate the trend into any outfit. Ankle boots are without doubt the hero item of autumn / winter; they simply never go out of style. 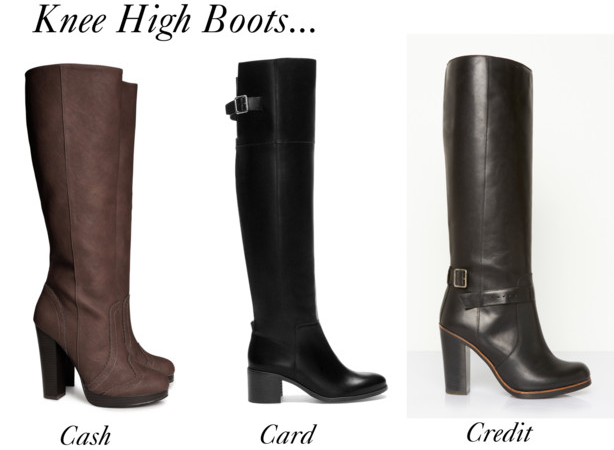 So weather you opt for flat boots, heeled, buckled, Chelsea or any of the myriad choice you really can’t go wrong. We’ve fallen in love with these amazing crocodile print effect boots from Poste Mistress, they’re the perfect mix of smart office wear and cool rock’n’roll vibe that we can’t get enough of. For the last couple of years knee high boots have been outshone by ankle boots but this year sees a bit of resurgence. Knee highs have been given a fresh new twist with cool contemporary designs from some of the most well respected designers including Isabel Marant and Theyskens Theory as well as their high street counterparts. We think that these Zara leather boots would look fantastic with an on trend plaid skirt. A great alternative to a loafer or lace up brogue, monk strap shoes have been around for a while but mainly worn on the feet of men. Monk Straps are a really grown up and all together more sophisticated choice if you’re considering a flat shoe for this season. We recommend wearing with a pair of tailored trousers rolled up at the ends with a flash of ankle and a good sock for when it gets a little colder. 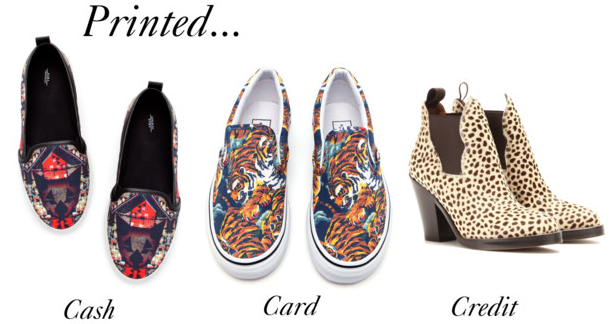 So there you have it, our top five womens shoe trends for the winter months, there really is something for everyone. If you’re looking for something smart and versatile you can’t go wrong with an ankle boot and if you’re after something a little more directional then a statement pair of loafers or monk strap shoes will be the perfect fit. Which shoes do you think you’ll be investing in this season? wow! These are just amazing and outstanding. I loved this trend. I buy the most preferred best work boots for men for field work but from now I would love to make purchase boots alike too.